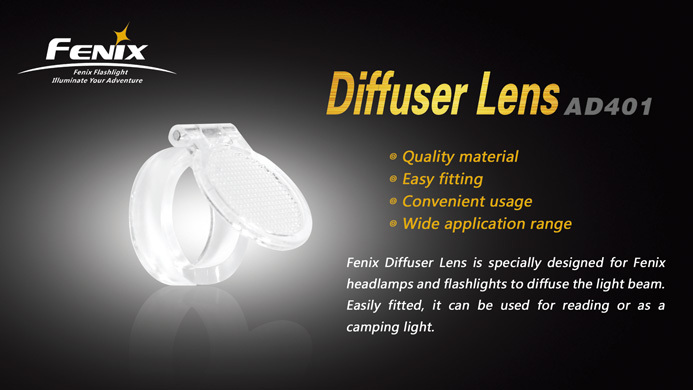 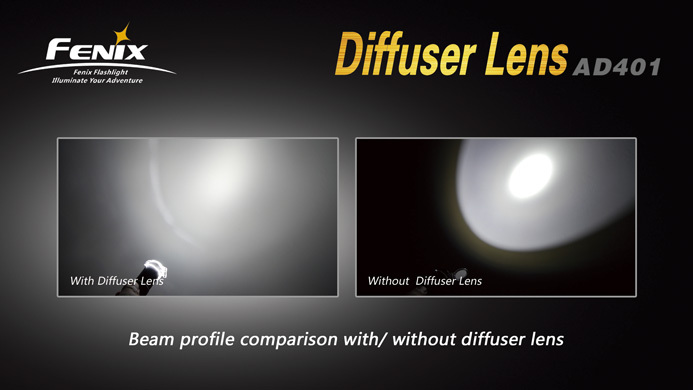 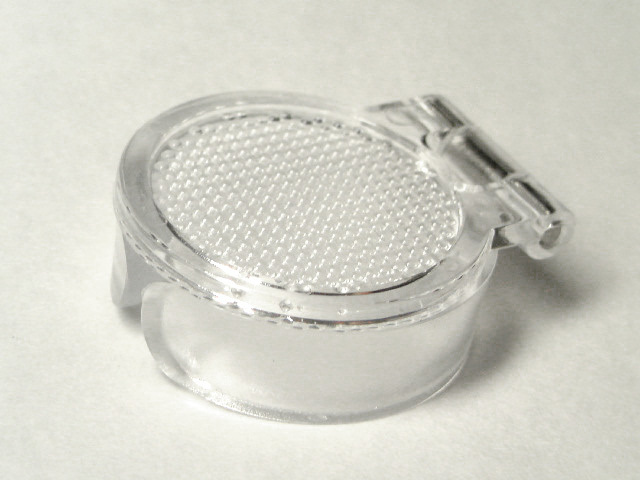 Fenix Diffuser Lens is specially designed for Fenix Headlamps and Flashlights to diffuse the light beam. 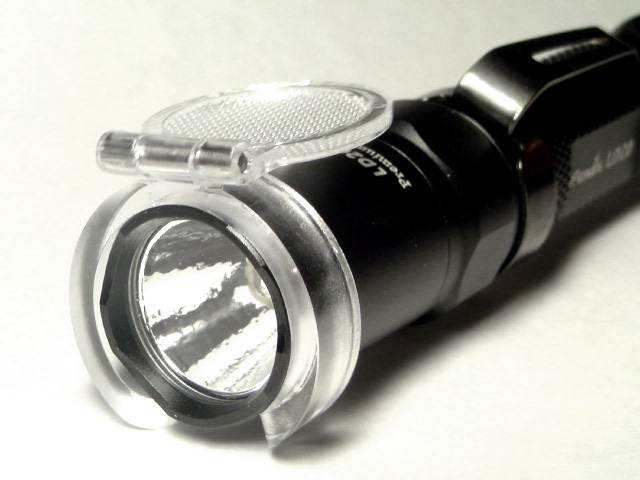 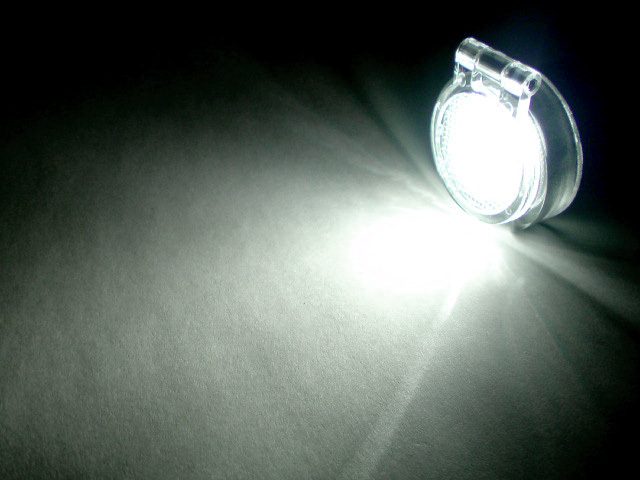 Easily fitted, it can be used for reading or as a camping light. 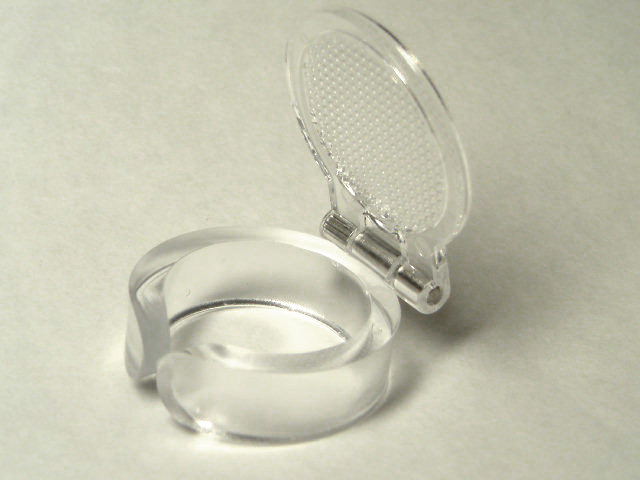 ・Utilizing transparent PC material of high quality without changing the light color. 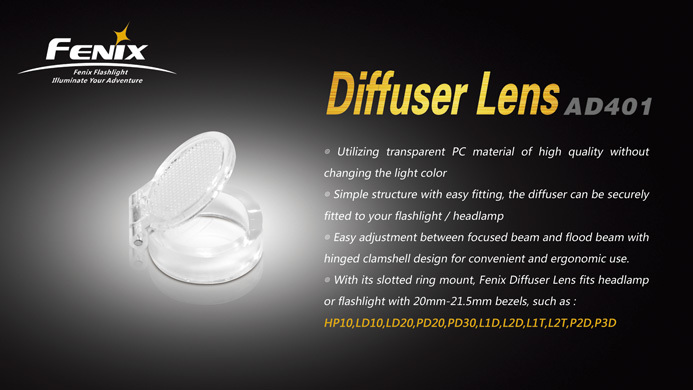 ・Simple structure with easy fitting, the diffuser can be securely fitted to your flashlight / headlamp. 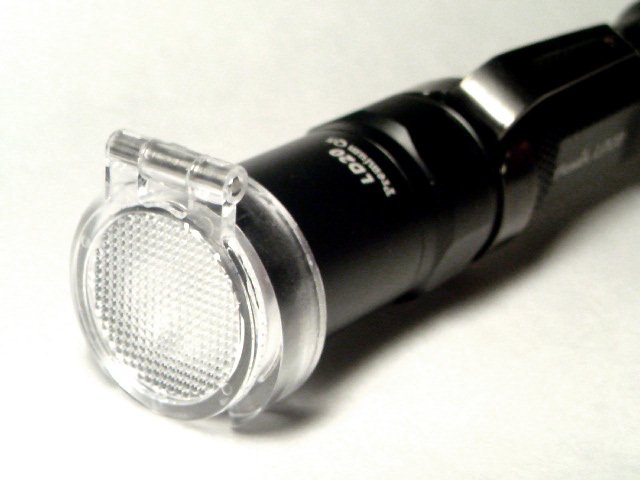 ・Easy adjustment between focused beam and flood beam with hinged clamshell design for convenient and ergonomic use.